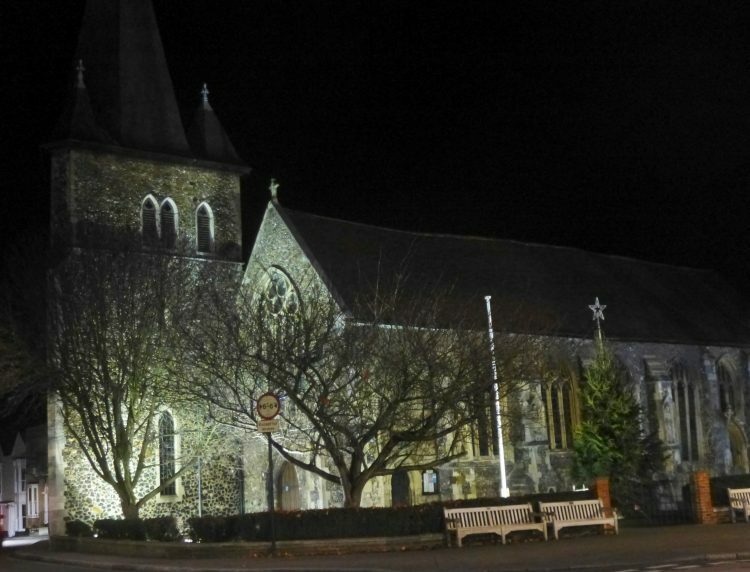 Graham and I have been enjoying evening rehearsals with the choir of All Saint’s church in Maldon, getting ready for Advent and Christmas. Our exciting new venture is bound up with this lovely medieval church in Maldon High Street. I was going to wait till January to announce it but have changed my mind. All the detail coming tomorrow! But here is a BIG clue . 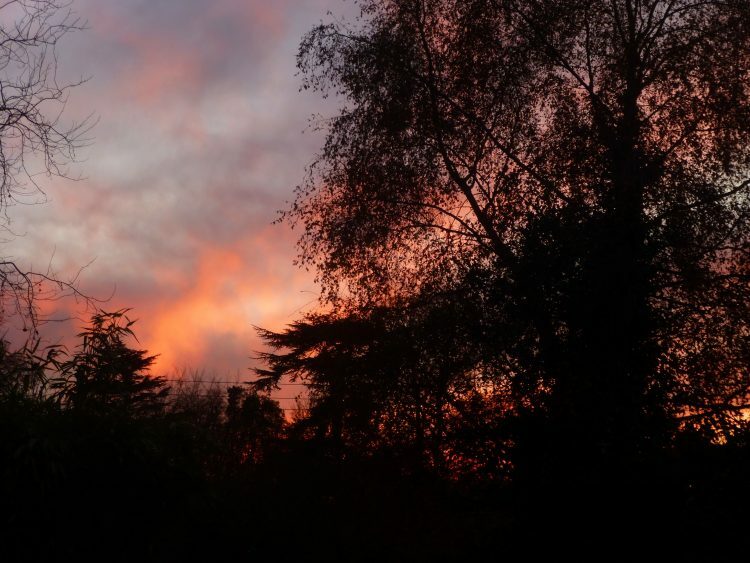 . .
A really frosty feel to the air by late afternoon today and a lovely frosty sunset from my back door . . .